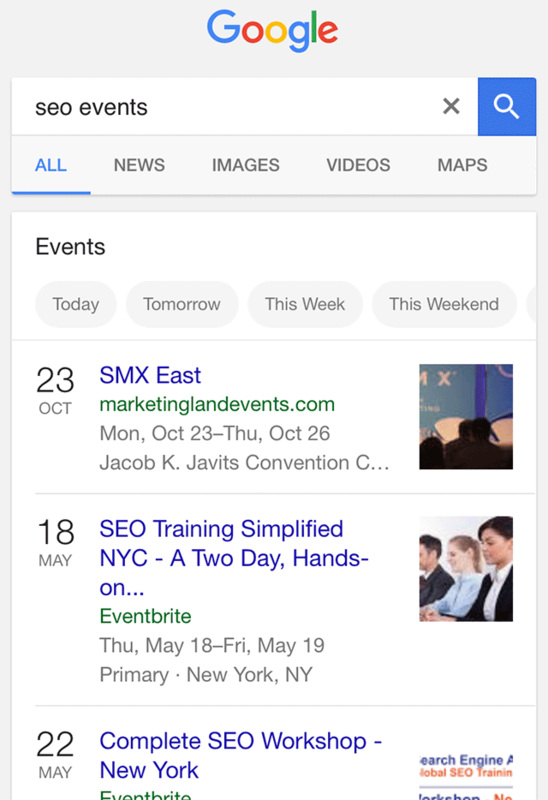 Google announced new features in search for event results. I covered it in detail yesterday at Search Engine Land, but it is important to mention here as well. In short, in the past year since it first launched Google created landing pages for each event including the time, location, ticketing providers, the ability to share, save and other relevant information about events all on a Google landing page. Then from there you can click for more details, before Google didn't have this more detailed page. It'll be interesting to see what sort of usage these revamped event listings see, and if/when they'll be available outside of the United States. There is more coverage of this on Techmeme as well.